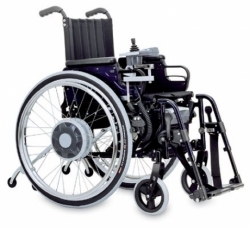 Whatever your requirements and wherever you live in the UK, we are specialists who can tailor a powered wheelchair to suit your specific needs. 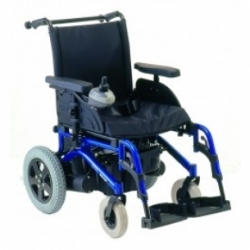 Custom-built powered wheelchairs are built with various adaptations and modifications. They use advanced technology so even if you have very limited movement it is likely that you’ll find a suitable product. If you believe you need a custom solution, please contact us. Small manoeuvrable for indoors and in places were space is critical. 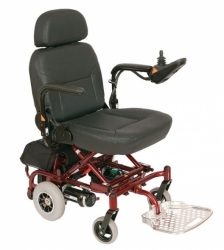 Some power chairs can have rear wheel, mid wheel or front wheel drive. Due to the small size most small chairs that fold are fitted with smaller batteries to make it easy to lift into a vehicle so you will be limited to the distance you can travel. Some indoor chair are fitted with bigger batteries for the heavier user but you will find that folding and lifting may be a problem. Most of these chairs are made to measure and can travel vast distances due to larger batteries being fitted. These chairs are mainly used outdoors but can also be used indoors by a competent driver. As these chairs are larger they will carry more weight and be fitted with suspension for a better driving experience. Power drive add-ons is a clever and simple way to give convert your manual wheelchair into a power wheelchair. Just swap the drive wheels, install the battery and control unit for instant power. Simple to dismantle for transportation and allows you to put back your original wheels and once again use as a self-propel wheelchair.